Top 3 Improper Ways Parents Stop a Child From Seeing the Other Parent? Can a parent stop a child from seeing the other parent? Is it proper do so? Find me two parents with a young child or children who are separating and you will likely find one parent asking these questions. Who asks it? The parent whose parenting time is frustrated by the other parent. What is the answer? The answer is usually no, a parent cannot stop a child from seeing the other parent unless a court order states otherwise. This question often comes up in the following situations. The parents (whether married or unmarried) are no longer together and the child resides with one of the parents. The parent with whom the child lives is limiting contact between the child and the other parent. The parents have an existing child custody and parenting time order. However, the child refuses to see one parent and the parent not seeing the child has reason to believe the other parent is encouraging this misbehavior. The parents have an existing court order, and a parent is violating the court order by interfering with the other parent’s parenting time. We will go through each of these three scenarios. Here are the topics we cover if you want to skip ahead. Can a parent stop a child from seeing the other parent when there are no court orders? We call this gate-keeping, and two types fit what we write about in this article. Parents who have reasonable concerns about the other parent may engage in protective gate-keeping. They do stop a child from seeing the other parent but not because of nefarious reasons. They do so because of reasonable concerns grounded in facts. The key to this is the facts. A parent without a court order technically cannot stop a child from seeing the other parent. He or she may still have concerns regarding the following. What if the mother believes the father does not have her level of parenting skills? However, the father is otherwise capable of caring for the child without endangering the child. Is the mother's basis to stop a child from seeing the other parent unjustified? Yes, it is. Through our extensive experience in child custody cases, we could probably give you over 50 examples of justified, protective gate-keeping and 50 more that were not. Justification however still does not give a parent a legal basis to stop the child from seeing the other parent. The concerned parent should immediately seek appropriate child custody and visitation orders and bring his or her concerns to the court's attention. The parent whose contact is unreasonably prevented or limited should not stand idly by and do nothing. If he or she does nothing, the parent may establish a status quo. The status quo may make it more difficult for the court to change it in the short term. That parent should also seek immediate child custody and visitation orders. What is a restrictive gate-keeper? A restrictive gate-keeper is a parent who without justification prevents the child from seeing the other parent. The parent is usually scorned about the breakup and seeks his or her revenge by using a child as leverage to hurt the other parent. This type of restrictive parent may also make false allegations of abuse or neglect against the other parent. Restrictive gate-keepers are not necessarily terrible parents. Despite their parenting skills, they have little respect for the other parent's role in the child's life. Such parents engage in disparagement of the other parent or the other parent's family or friends to the child. Sometimes they do this directly to the child. Sometimes they ensure the child sees or overhears communication intended to disparage. They rarely co-parent without unreasonable conditions that satisfy their need for control. We commonly see such parents defer to their parents (the child’s grandparents) for help with the gate-keeping. The grandmother or grandfather then becomes a gate-keeping vehicle that assists the alienating parent throughout the process. When a restrictive parent stops the child from seeing the other parent, court action becomes urgent. A gate-keeper is not a parent who reasonably believes they should limit contact. He or she is a parent who is often intent on destroying the other parent's relationship with the child. If the other parent does not take immediate court action, that parent empowers the restrictive parent to continue. The inaction often results in the bond between the other parent and the child to break. This happens because the other parent spends limited or no time with his or her child. Setting forth the restrictive gate-keeper's misconduct may justify asking the court for primary or even sole custody. Until the restrictive parent shows a willingness to co-parent and become reasonable, this may be the only reasonable option. If the court does not grant your request, you will have at least set a precedent for it. Therefore, if you revisit it later, you may remind the court this was the concern you shared earlier, and it remains a concern. All of this assumes you are the parent with the necessary parenting skills. It also assumes you have the time to dedicate to the child's care. Can a parent stop a child from seeing the other parent by claiming it is the child’s choice? This part of the article is not about a situation where a child does not want to see the other parent for legitimate reasons. Such reasons include abuse or severe neglect. Instead, we write about those situations where a parent improperly influenced the child not to see the other parent. To understand how and why this happens, a parent must understand parental alienation. 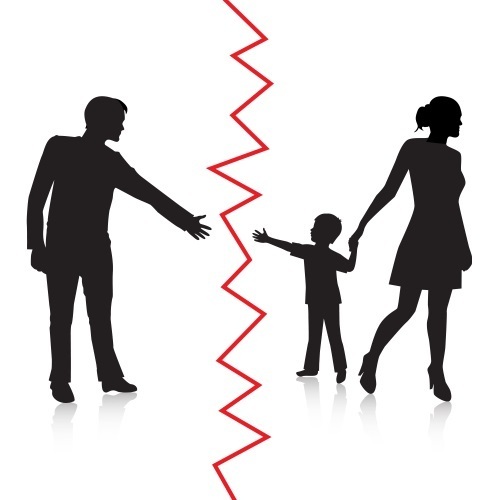 Parental alienation is a common tactic by one parent who intends to significantly harm and even destroy the other parent's relationship with the child. From our article titled What is Parental Alienation and What Can You Do About it, here is our definition. "Alienation, by definition, means to isolate one thing from another. In the case of parental alienation, it means steps (often planned and malicious ones) a parent takes to isolate the child or children from the other parent through words and conduct and to create a division, estrangement and even hostility between the victimized parent and child." There is little a parent can do to stop the alienation absent a court order. The way to stop it is for one of the following to occur. The victimized parent obtains a court order that takes custody away from the alienating parent. We encourage you to read our articles on parental alienation as it will provide you with a proper strategy on how to document the misconduct. It will also teach you how to seek appropriate court orders to put an end to it. Can a parent stop a child from seeing the other parent by refusing to follow a court order? The short answer is no; a parent cannot lawfully stop the child from seeing the other parent in such a circumstance. Court orders are not suggestions. They direct parents to comply with them. A parent who refuses to comply with a child custody order and stops a child from seeing the other parent violates the court order. As I write this article, our law firm just won a contempt action, and the judge found the mother guilty of over 20 counts of contempt for her failure to abide by a child custody order. Such action must be the measure of resolve by a parent who does not see his or her child as a result of the other parent's violations of an order. To read more about contempt, check out our informative guide about Family Law Contempt actions. Are there situations a parent, despite a court order, should stop a child from seeing the other parent? If there is child abuse or other conduct by the other parent that endangers the child's health or safety, a parent may take lawful steps to prevent the visitation. However, absent extreme circumstances, a parent usually has the option of contacting the proper authorities including the police or child protective services. Also, if there is an immediate threat of harm to the child, a parent may seek emergency child custody relief. We encourage you to keep reading more informative articles on our website about child custody in California. You may call us or complete the form at the bottom of this page to contact us for an affordable strategy session. A parent who without reasonable justification stops a child from seeing the other parent often does so due to his or her own immaturity or nefarious intent. The gatekeeping results from the restrictive parent's obsession with control or simply unresolved anger against the other parent. Be serious about parenting. This is not a game. Complaining about the other parent keeping the child from you may fall on deaf ears if you are not capable, ready and willing to spend quality time with your child. How Do You Plan and Prepare for Attorney Fees in Divorce Case?